Commercial lines producers strive to secure the best possible pricing and terms for their clients. This year's 17 most popular webinars are now available for ondemand viewing. Pick the ones you need most or get ALL of them for a special price - only $279! Commercial lines producers strive to secure the best possible pricing and terms for their clients. 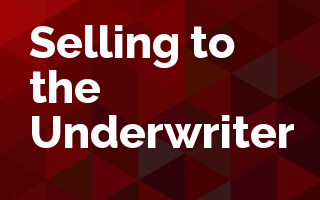 This webinar, created by an industry veteran who has been both an agent and an underwriter, will focus on practices, actions and attitudes that will help the producer receive the most advantageous terms from the commercial underwriters at the companies they represent. This webinar is geared towards agents and insurer sales and marketing specialists.